As commonly found with many nonprofit organizations, operating budgets can be limited including monthly website maintenance allocations. 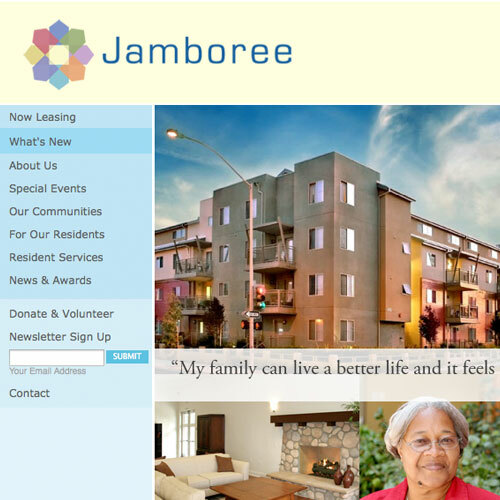 For Jamboree Housing, an organization that needs frequent and flexible content updates, an open source content management system was the way to go. Timemaster created a new image design as well as an open source CMS enabling the in-house staff to provide their client base with the most current information on their properties. The CMS was configured to allow for user-friendly multimedia file upload and management including videos. In addition, highly customized modules were developed to manage the property database details as well as monitor constituents' interest in certain properties. © Timemaster - Web Design And Internet Solutions Company 2019.